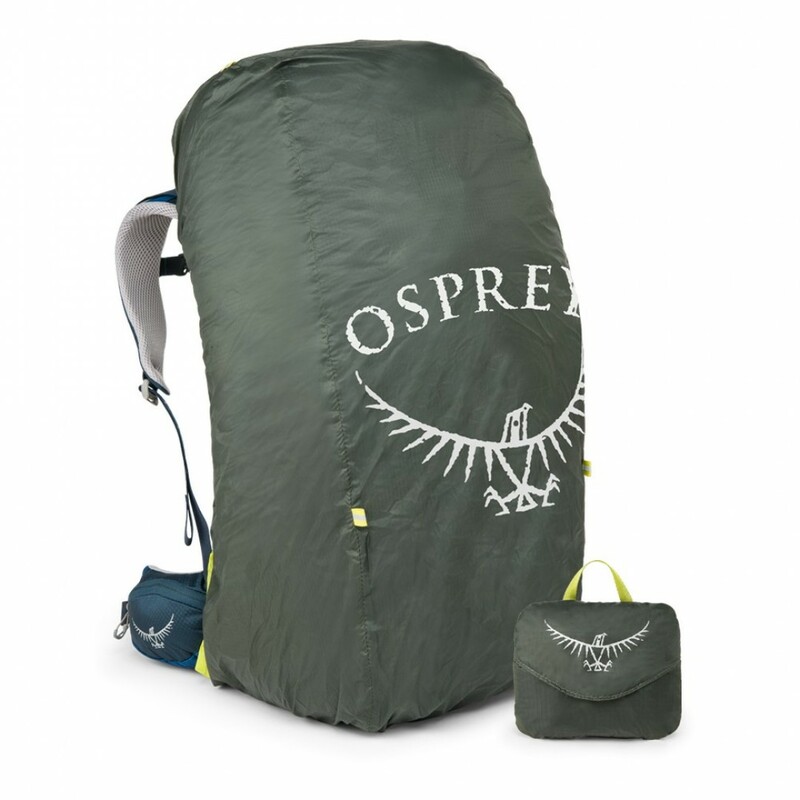 Raincover Osprey osprey-rain perfect for that rainstorm you’ve been dodging all day. You’ll need to quickly ensure your pack and gear is completely protected. We’ve been continually developing our range of raincovers and have designed a range of ultralight raincovers perfect for defending against downpours. Featuring a full wrap-around cinch attachment, secure hipbelt and harness attachments to keep your pack totally covered. Each ultralight raincover packs down to roughly the size of a tennis ball and comes with its own pouch for easy storage. Whilst reflective graphics and blinker light attachment will ensure you’re always seen.